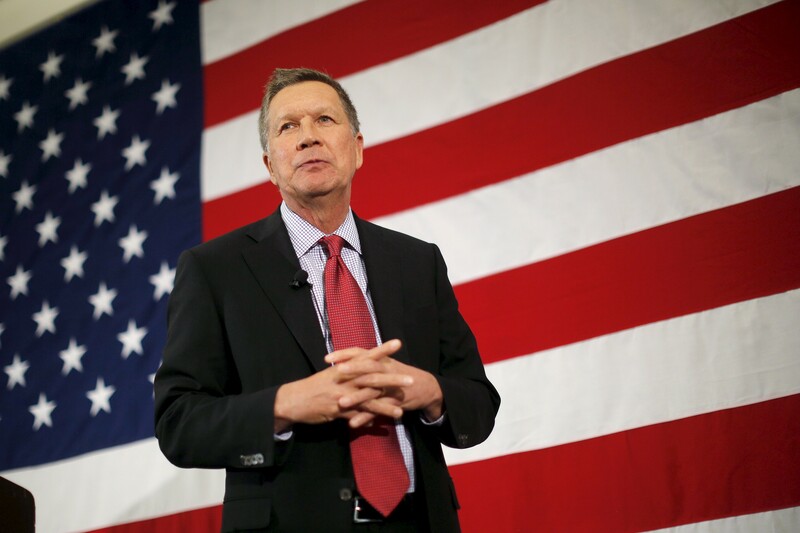 Just how unholy is Kasich's alliance with Ted Cruz to stop Donald Trump? As if sealed with a weak, clammy handshake, TED CRUZ and JOHN KASICH put aside their clear contempt for each other and formed an alliance in a last-ditch attempt to stop Donald Trump from getting the delegates he needs to clinch the nomination before the convention. Kasich agreed to not campaign in Cruz-friendly, winner-take-all Indiana, while Cruz agreed to stay out of Oregon and New Mexico, where Kasich stands a better chance. DONALD TRUMP did not welcome the prospect of one-on-one races. Instead, the real-estate dealmaker decried such a deal as "collusion!" and returned to his complaints about the system being "rigged." After winning the New York Democratic primary on April 19, HILLARY CLINTON and her supporters emerged more assured that she's on a sure path to beat Vermont Sen. BERNIE SANDERS and clinch the nomination. How assured? Assured enough to begin the time-tested tradition of seriously speculating about who Clinton will pick to be her running mate. This election cycle, Clinton's pick could make her run even more historic. Days after winning in New York, Clinton's campaign chairman John Podesta told the Boston Globe that "there is no question" that other women will be considered as potential VPs, opening the possibility of a Democratic ticket headed by two females — a first for a major party. Massachusetts Sen. Elizabeth Warren has been floated as an olive branch to Sanders' supporters. However, Warren hasn't endorsed Clinton, and the state's Republican governor likely would pick a replacement who would skew the balance of the U.S. Senate. Others female politicians being considered include senators Claire McCaskill of Missouri and Amy Klobuchar of Minnesota, as well as a handful of lesser-known women governors.